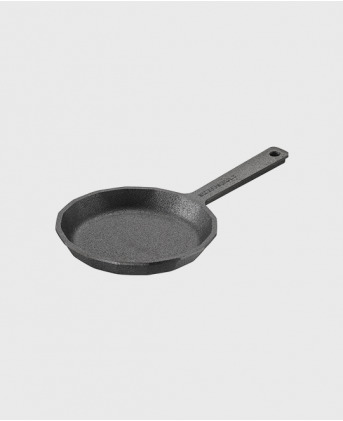 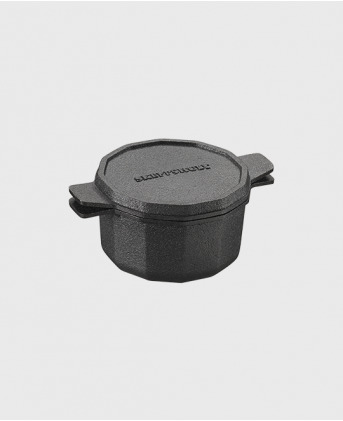 A hexadecagon shaped cast iron frying pan with integrated cast iron handle. 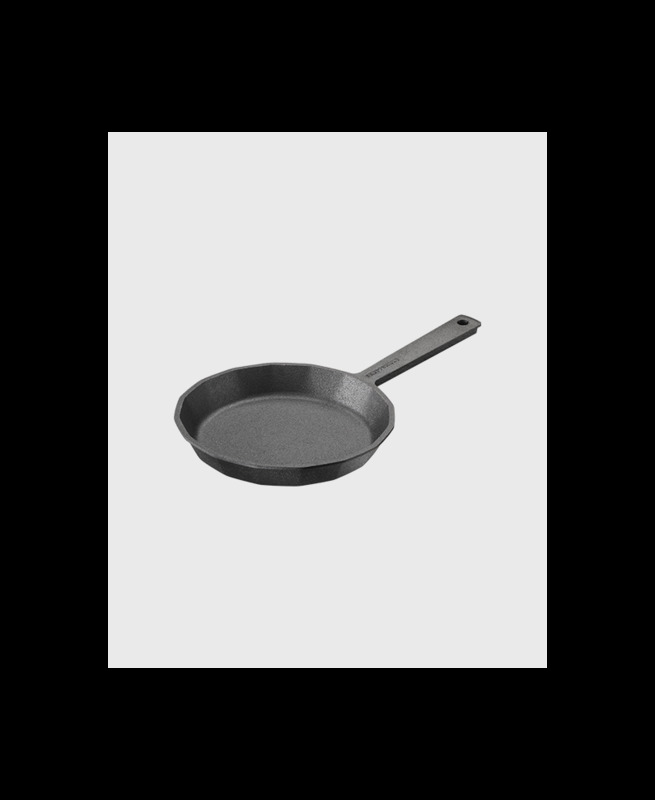 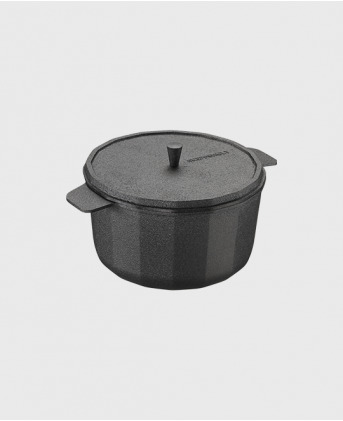 The pan measures 23,5 cm in diameter, weights 1.1kg and has precision milled edges and precision turned concave bottom. Made of virgin cast iron, seasoned with organic KRAV canola oil. 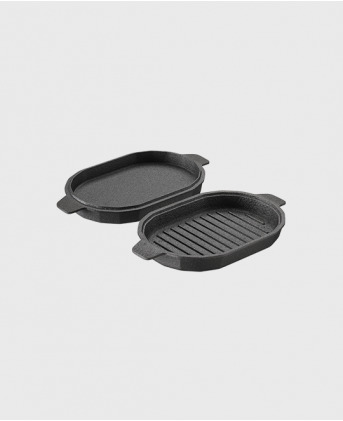 Designed by Note Design Studio and made by hand in Skeppshult, Sweden.